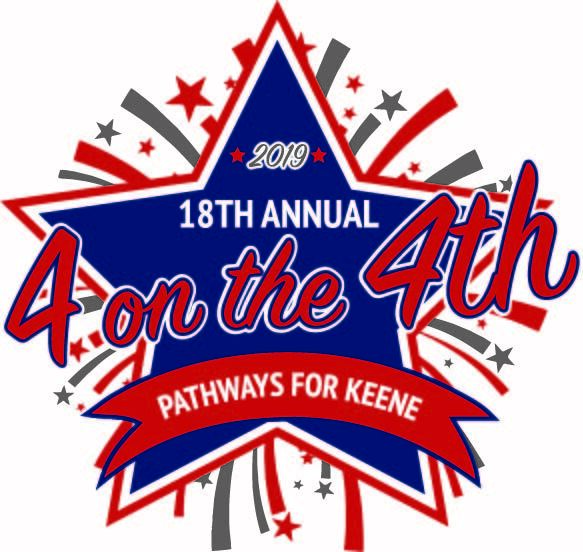 Help support Pathways for Keene by registering for the upcoming 4 on the 4th race! 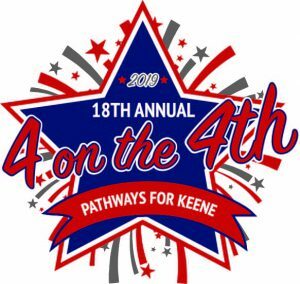 Pathways for Keene, Inc. (“PFK”) is a non-profit, 501 C(3), group of volunteers promoting the development, maintenance, enhancement of active transportation in the City of Keene, N.H. Incorporated in July 1994, PFK is governed by an elected Board of Directors comprised of men and women from a cross-section of the community. It elects corporate officers to administer the affairs of the organization. To date, PFK has agreed to participate in raising funds to help match the City Keene’s local share requirements needed to garner federal and state grants. Historically, this arrangement allows the State of New Hampshire to contribute 80% funding from federal programs, such as, the Intermodal Surface Transportation Efficiency Act, Transportation Equity Act for the 21st Century, and Transportation Alternatives Program. As of January, 2015, PFK raised its local share of nearly $ 340,000 for trail development. The majority of these funds were raised through the conduct of a series of annual run/walk footraces, known as, The 4 on the 4th. The reminder of funds came from individual, corporate and foundation contributions and donations. The current primary goal for PFK is the fundraising for the Cheshire Rail Trail, Phase 3 & the Park Avenue Loop project. PFK will continue working with a diverse collection of organizations in the future to focus the further development, use, and enhancement of a pathways system that meets the needs of Keene residents and its visitors.